As a kid I was obsessed with anything that glowed in the dark. I don’t know why, but I loved the bouncy balls, plastic bugs, nail polish, anything that glowed in the dark. I didn’t have much of it, so maybe that’s why I was so obsessed, or maybe I was just a strange kid. 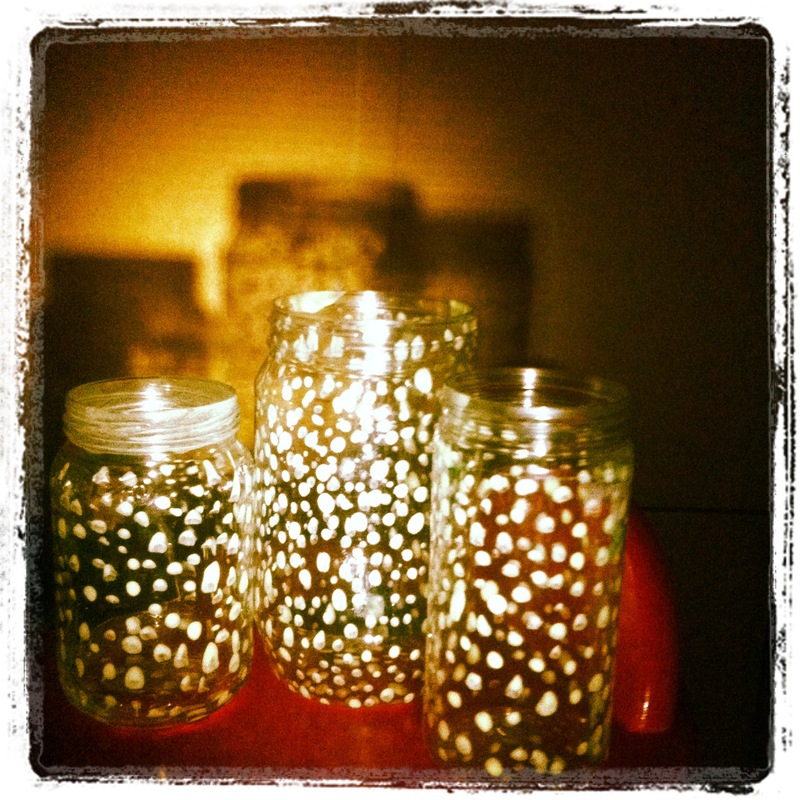 I found a craft project on Pinterest that had jars dotted with glow paints and had to try it. After painting you can’t store food in it anymore, but they look cool. “Charging” the jars with lights. The first jar I used was a glass pickle jar, then I realized that glass jars probably are not the best plaything for three rowdy kids. The other jars are plastic, a big peanut butter jar and I don’t remember what the other one held. 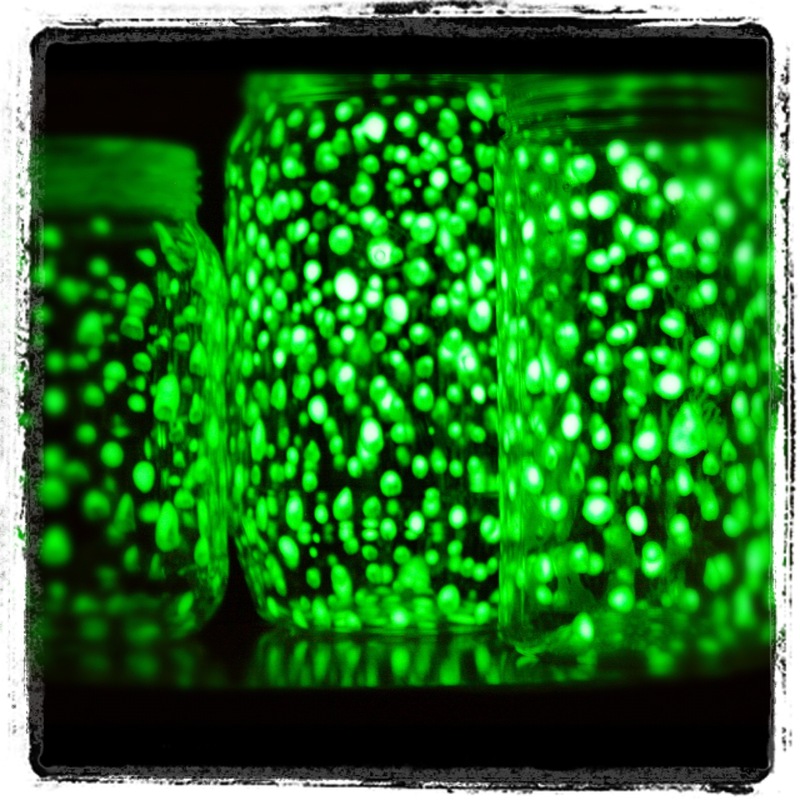 Just dot the inside of the jars with glow in dark paint, I found mine at Hobby Lobby. Easy peasy lemon squeezy. I told my ten year old “Look what I did, it looks like I captured stars in a jar!” and she said “Yeah, as if you could really do that. Stars are too hot and they’d melt the jars.” Yes, she popped my bubble a bit, but I still think they look super cool. On another note, this is the book that never ends. 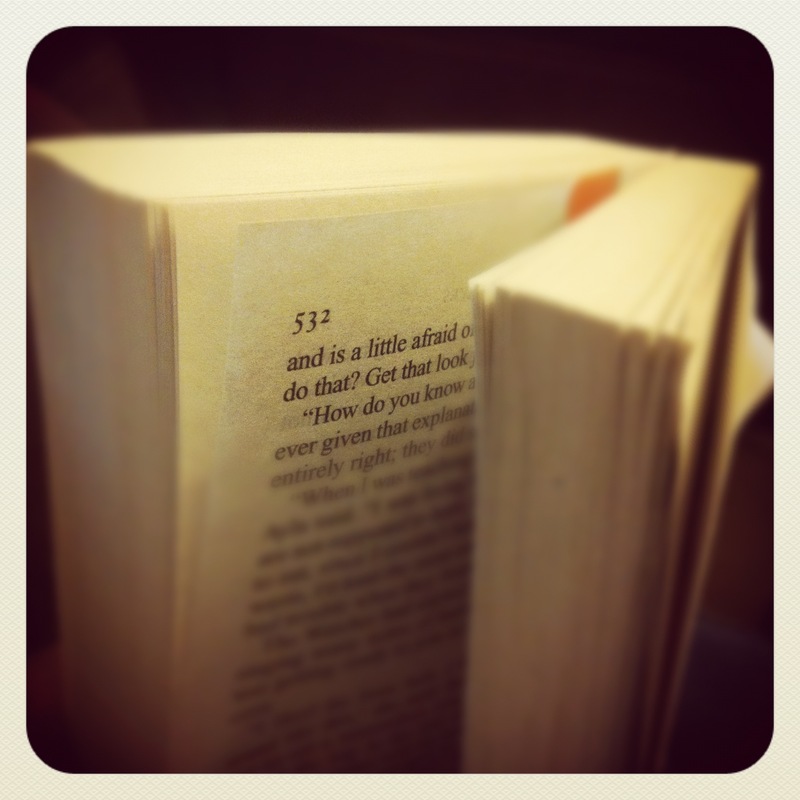 Page 532 and I’m still waiting for something to happen. This is the last book in the series and I feel like I have to finish this one, but it is so much drier than the other books. Only 296 more pages. This entry was posted in Crafts, Instagram, Parenting, Project 366 and tagged book, craft, glow, Instagram, jars, kids, paint, pinterest, project 366, reading, series, stars. Bookmark the permalink.